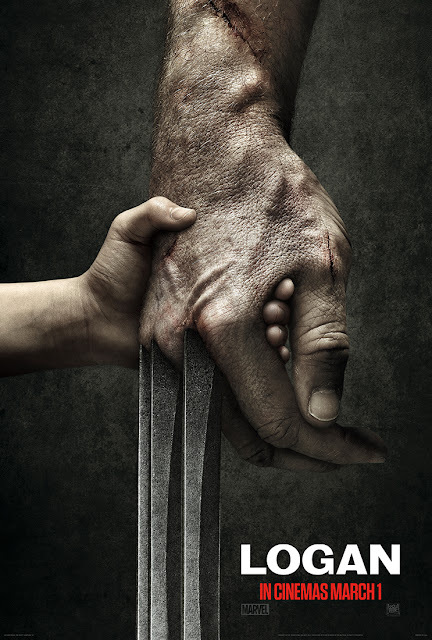 A few weeks ago, we have revealed the teaser poster (above) for next year's independent X-Men character film, "Logan" with a hand of a child holding the hand of Hugh Jackman's character, Logan (or Wolverine) and it created a buzz over the Internet for what could be the story behind this silent movie poster. Today, we reveal the emotional movie teaser trailer for "Logan" as we find an ageing Wolverine takes care of Professor X and a child who is "just like him" for who knows what does that mean. The movie teaser trailer is so emotional it felt like watching an old cowboy drama film or any Wild, Wild, West movies made in the past. We can also see a tired Logan and just like in the first Wolverine movie, there are less mutants in here. So, from the action and adventure that was X-Men and the disappointment that was X-Men: Apocalypse, we will now anticipate the melodrama life of the X-Men Universe's most favorite character, Logan, and what life is awaiting for him, probably set in a post-apocalyptic timeline. So, without further ado, we present to you the movie teaser trailer for Hugh Jackman's independent X-Men film, "Logan" showing in cinemas coming this March 2017. "Logan" is brought to us by Marvel Studios and 20th Century Fox. Directed by James Mangold, “Logan” opens in Philippine cinemas nationwide on March 1, 2017 from 20th Century Fox to be distributed by Warner Bros.